The Mayo Clinic is one of the best-known and regarded health care systems in the world, and has been for over a century. According to CEO Dr. John Noseworthy, one of the things that’s made that happen is an incredibly committed and highly-skilled workforce. 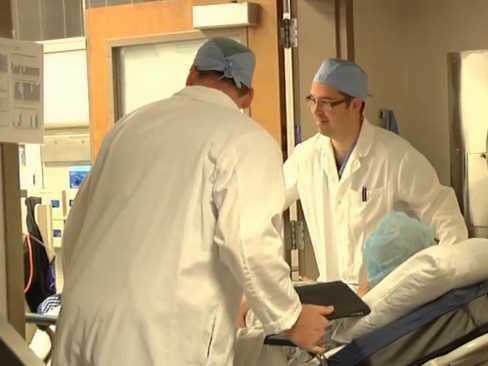 Part of that is the fact that Mayo rigorously trains many of its own people, “from technologists all the way up through heart and brain surgeons,” Dr. Noseworthy told Business Insider. Another is the huge desire for people from the outside to join them. “Whenever we post a nursing position, we usually have over 20 applicants for that single job,” he revealed. During that period and during all training, there’s a huge focus on culture and what it means to work at Mayo. That’s led to a staff that, according to Noseworthy, often spends their entire career with the health system, and an incredibly low rate of turnover for physicians of one to two per cent a year. Building such a culture and committed workforce takes a great deal of time and effort, but pays huge dividends in the long run.